With a stunning snapshot of the Earth to share, the United States' freshly launched dual-purpose polar-orbiting weather and climate-tracking observatory has been branded with a new name to honor a pioneer. Launched with the mouthful name National Polar-orbiting Operational Environmental Satellite System Preparatory Project, or NPP, on Oct. 28, from Vandenberg Air Force Base in California, the craft originally was conceived as a experimental test-bed for a future era of weather platforms. But that future program was cancelled in 2010, leaving NPP as a gapfiller to feed meteorologists and climatologists with the continuity of data for their work until another generation of observation craft can be built and deployed later this decade. Now three months into the $1.5 billion mission, NASA officials announced they are renaming the satellite as Suomi National Polar-orbiting Partnership, or Suomi NPP, for the late Verner E. Suomi, a meteorologist at the University of Wisconsin who is recognized widely as "the father of satellite meteorology." "Verner Suomi's many scientific and engineering contributions were fundamental to our current ability to learn about Earth's weather and climate from space," said John Grunsfeld, associate administrator of NASA's Science Mission Directorate in Washington." 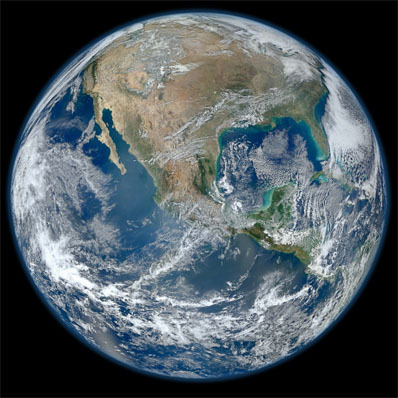 Suomi NPP not only will extend more than four decades of NASA satellite observations of our planet, it also will usher in a new era of climate change discovery and weather forecasting." While the satellite remains in checkout mode, its instruments have produced a stunning view of the Americas from the Visible/Infrared Imager Radiometer Suite (VIIRS) instrument as seen above. That testing, however, has uncovered a larger than expected decrease in sensor sensitivity in four of VIIRS's near-infrared and visible channels because of tungsten oxide contamination on the surface of the instrument's mirror during preflight coating, causing it to darken. "This evidence suggests that the cause of the contamination is limited to the VIIRS instrument, and is not a concern for other NPP instruments. While likely irreversible, the darkening of the VIIRS mirror caused by the contamination is expected to reach a plateau and remain at that level for the life of the mission," NASA says in a statement. "Although testing on this issue is continuing, NPP mission managers expect this plateau to still provide sufficient margins to allow VIIRS to meet its design requirements." The device will produce the familiar pictures of clouds, plus take sea-surface temperatures for hurricane forecasting and perform land and ocean color surveys using 22 visible and infrared wavelengths. Four are impacted by the contamination. 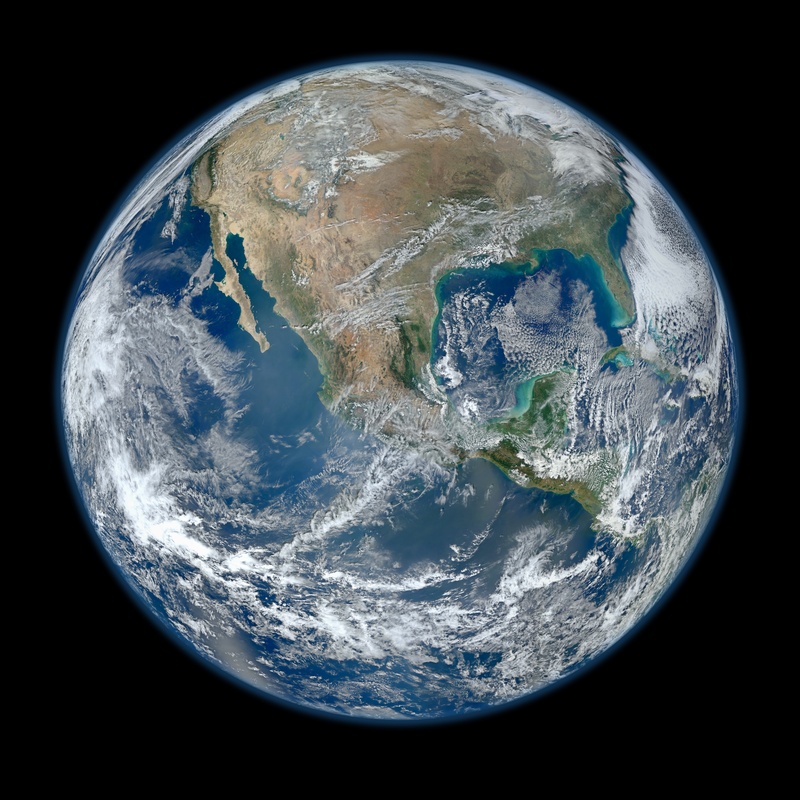 Suomi NPP and its instruments now become the basis for building the Joint Polar Satellite System, or JPSS, a civilian collaboration between NASA and the National Oceanic and Atmospheric Administration to begin launching perhaps by 2016. Verner Suomi pioneered remote sensing of Earth from satellites in polar orbits a few hundred miles above the surface with Explorer 7 in 1959, and geostationary orbits thousands of miles high with ATS-1 in 1966. He was best known for his invention of the "spin-scan" camera which enabled geostationary weather satellites to continuously image Earth, yielding the satellite pictures commonly used on television weather broadcasts. He also was involved in planning interplanetary spacecraft missions to Venus, Jupiter, Saturn, Uranus and Neptune. "It is fitting that such an important and innovative partnership pays tribute to a pioneer like Verner Suomi," said Mary Kicza, assistant administrator for NOAA's Satellite and Information Service. "Suomi NPP is an extremely important mission for NOAA. Its advanced instruments will improve our weather forecasts and understanding of the climate and pave the way for JPSS, our next generation of weather satellites."